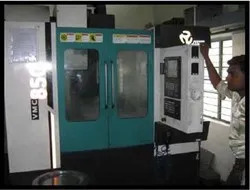 We R. M. Engineering, established in the year 2005, we are an eminent firm engaged in manufacturing, exporting and supplying a wide assortment of Brake Disc, Drum & Auto Spare Parts. 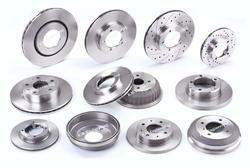 Our product range includes Brake Disc, Brake Drum and Wheel Hub. We never compromise on the quality of our product range, so we source the raw material from reliable and certified vendors of the market. Our range is acknowledged in the industry for its various attributes such as high strength, performance and corrosion resistance. We are greatly assisted by a competent team of professionals, which work in sync with each other to meet the variegated needs of the patrons in an efficient manner. Further, the complete range of our products is analyzed by our quality inspectors under various pre determined parameters, to ensure zero defect range. With the support of our team, we are able to meet the varied requirements of our clients. Owing to all these factors, we have gained a huge client base across the Indian Subcontinent. Led under the able guidance of our mentors, 'Mr. Vasu Patel' and 'Mr. Kiran Patel', we have mastered a wide client base across the globe. Their industry experience and ethical business policies have helped us in gaining support and trust of our valuable clients. We have hired a team of intelligent and dedicated professionals, which works in coordination to develop an accurate range of products. Furthermore, our management personnel regularly check the products from the entire production process so as to ensure a perfect range. Our quality inspectors test the complete range before the final dispatch. We would like to thank you all again for taking time visiting our booth last week at Auto Expo Component 2018, Pragati Medan New Delhi. It was a great pleasure to welcome you and we enjoyed many inspiring conversations. Many visitors have taken a great interest in our products, particularly in the new generation cars and Heavy commercial Brake Disc for the aftermarket. 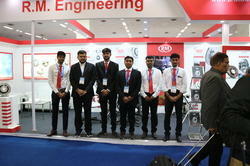 This was our first participation at Auto Expo Component. We consider it was a success thanks to all our visitors. We hope to welcome you again soon at our next fair’s attending at Auto mechanika New Delhi 2019, which will be at Pragati Medan, New Delhi next February. Please feel free to contact us if you have further questions or in case you want more information about our products. R.M. Disc Brake Rotors are engineered to original equipment design criteria and manufactured to comply with the TS16949 quality standard. 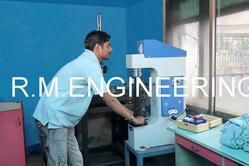 A focus on high quality casting material, tight machining tolerances are the key features, ensure that R.M. disc brake rotors delivers the highest level of replacement brake performance. Balanced during the machine process, for the optimum performance on initial fitment, R.M. disc brake rotors minimize brake shudder, improve thermal efficiency and reduce brake noise. 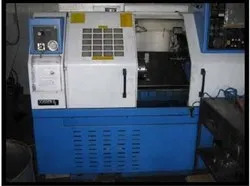 Our organization aims at providing optimum quality range of disc brakes and hot melt adhesives, for which our quality auditors conduct severe quality tests. The efficient quality controllers check the quality of the raw material procured from the vendors before using for the final production. Further, they monitor the entire range closely and thereby assure delivery of a defect free range at clients' end. Why RM Disc Brakes? Because brakes are the lifeblood of our business. Our sole focus is to develop products that outperform in your application and outdo your expectations. RM has been around for decades, surpassing industry standards and setting the curve in performance. Built into each RM disc brake is the power, feel, and dependability you need to get the most out of every ride. People who listen to other riders and ride themselves are the same people who design our brakes. We continually enhance, redesign or introduce products with stopping power and safety features that you won’t find in other brake systems. 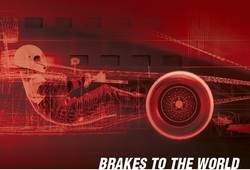 Hayes Brake has been leading the pack in brake technology since 2001. That same commitment to breakthrough design and performance was extended to the Indian market. The revolutionary products that RM Disc Brake introduced set a new standard for slotted disc brakes in India. The right brake for your application is the brake that’s been proven to perform. At RM Disc Brake, we are meticulous about research, development and testing, it’s what has earned us a reputation in this industry: our engineers begin simulation work on our products. Our R & D department employs the latest technology and software to analyze the noise and vibration characteristics of our systems. And throughout the various stages of development, our expansive machine shop lets us turn designs into completely functional prototypes. Whether it’s testing prototypes or auditing production brakes, we have a wide array of equipment to ensure our systems perform. Dynamometers are used to analyze our brake systems and evaluate rotor. It doesn’t stop at performance. Our dynamometers are capable of simulating wet and muddy trail conditions, and provide us with an accurate measure of pressure, force, temperature, speed and torque. The R & D lab is also outfitted with an electro-dynamic shaker for simulating the bumps, rocks, roots and drops on a trail. 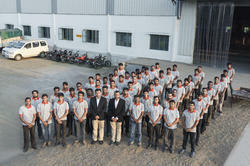 Our organization is engaged in manufacturing, supplying and exporting a quality range disc brakes and hot melt adhesives. Our entire range consists of brake disc, brake drum, brake disc (slotted), disc brake, brake disc (cross drilled), brake drum volvo and packing. Manufactured in compliance with international standards, the products are widely used in all types of vehicles. 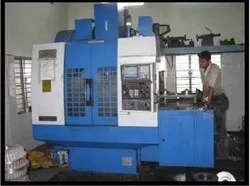 Further, these products are packed as per the given specifications of our valued clients. Our organization has gained a reputed position in the market due to our commitment of supplying premium quality products on time. Furthermore, all the products are as per the international quality norms, to assure that flawless range reaches the end customers.